Natural herbs are found to be safe and effective to comfort dogs in pain. What’s worse than hearing your senior pup yelp as he leaps from the sofa? Is there anything sadder than an older dog limping when his arthritis acts up on a rainy day? Although we sometimes feel helpless watching our pets age, many herbal and natural remedies alleviate pet aches and pains. In fact, dogs experiencing minor discomfort during normal daily activities may benefit from the addition of daily herbal supplements. Which ingredients are best for alleviating common aches and pains? Let’s explore some of the best natural remedies. Which Natural Herbs Provide Comfort for Aging Pets? In Western medicine, many veterinarians prescribe natural herbs and supplements instead of pharmaceutical drugs. Why is there an increasing trend in natural remedies? Because a growing body of evidence proves the efficacy of natural herbs and holistic treatments. Additionally, herbal treatments are often gentler and less likely to cause side effects than their chemical counterparts. Yucca is a cactus-like plant, similar to a succulent, native to desert climates all over the world. Most commonly, Western veterinarians recommend yucca to breakdown urea. What is urea? A microbial enzyme called urease commonly causes bad odors in pet feces and urine. And, breaking down urea promotes circulation in damaged tissue. Increasing circulation gives the body an opportunity to absorb more nutrients, repairing tissue damage. Yucca also boasts high quantities of important nutrients such as vitamin C, beta-carotene, calcium, iron, manganese, magnesium, niacin, phosphorus, protein, and B vitamins. But, the most beneficial compounds in yucca are therapeutic saponins. Saponins provide the body with anti-inflammatory and antifungal benefits. In fact, researchers believe saponins prevent toxin release in the intestines, improving cartilage formation and digestion. Another comforting herb is MSM, or methylsulfonylmethane. Why use MSM to comfort ailing pets? Levels of MSM, a naturally occurring chemical compound, decrease in the body as we age. However, we need MSM for aiding connective tissue in ligaments and blood proteins. Additionally, MSM may protect cartilage from deterioration, reducing joint pain caused by osteoarthritis. A deficiency is MSM may also result in gastrointestinal problems, rheumatism, and poor immune system function. Boswellia, also known as Indian Frankincense, is a common treatment for pain and inflammation in Ayurvedic medicine. Native to India, the Boswellia plant contains therapeutic alpha and beta boswellic acids, which are known anti-inflammatory agents. In fact, research from the Regional Research Laboratory in Jammu, India shows Boswellia may be more effective than NSAIDs (nonsteroidal anti-inflammatory drugs) such as aspirin. The therapeutic boswellic acids may slow the progression of cartilage damage in arthritic joints by decreasing degradation and blocking pro-inflammatory enzyme. Meadowsweet, a wildflower found in Europe and Asia, is commonly known as herbal aspirin. This is due to the plant’s salicylates, which form salicylic acid in the digestive tract, a compound similar to those found in aspirin. In fact, German scientists created the first form of aspirin in 1853 using Meadowsweet extract. 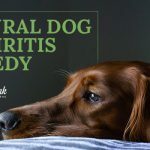 How does Meadowsweet alleviate pet pain and discomfort? Prostaglandins, hormone-like chemicals causing pain and inflammation, increase acidity in the joints, causing inflammation. Meadowsweet blocks prostaglandins, improving connective joint tissue and protecting against oxidative damage. Alleviating your aging pet’s aches and pains may be easier than you imagine. In fact, a few small changes at home can greatly improve your pet’s quality of life. You may be surprised at how quickly your senior pup acts like his old self. Giving your pet a supplement such as PET | TAO Comfort may alleviate their pain and increase mobility.